Factory Mutual (FM) Global is similar to Underwriters Laboratories (UL) in that they both are focused on safety. FM Approvals is the independent testing division of FM Global, and it focuses on researching and testing all products to ensure that they meet only the highest standards for property loss prevention and safety. In the realm of fire pumps, FM Approval means that the fire pump has been designed for reliable performance during a critical time – when someone is dealing with a fire. 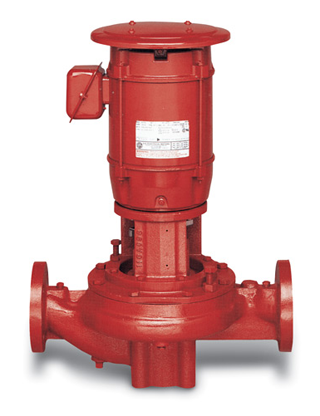 A fire pump that fails when called upon can cost thousands of dollars and even lives, so it’s crucial pumps perform when needed. With most standard electric motors, there’s a built-in safety system to save the motor before damage occurs. During a disaster like a fire, this is certainly not what you’d want to have happened, as you’d want to ensure proper operation. Fortunately, this is not the case for those fire pumps receiving the UL Listing and FM Approval marks, as these pumps will run until they can no longer function. The bottom line is that the FM Approvals mark is your assurance that a fire pump is tested and reliable. We hope this article helps clear up any confusion around FM Approvals, but if you’d like to learn more about these in regards to fire pumps you can give us a call at 302-652-4722.